The Quest for Height: Grow Taller | Increase Height | Bone Size: Tricks for Growing Taller: How a 19 year old grew 0.6"
Tricks for Growing Taller: How a 19 year old grew 0.6"
You don't as large an increase in ankle size as you typically see with LSJL like in my height increase pictures or in Slimchanse's height increase pictures or you can see David's huge ankle size gain. It could be that the table clamp has more of a stimulatory effect on height gain rather than ankle size and tapping/loading with weights has more of an effect on bone quality/ankle size. You can see a stronger/thicker bone in the november pic than the october pic. Maybe dumbell loading/tapping just induces a more specific adaptation on the ankle whereas the table clamp increases bone quality all over. It was 30 seconds the first week. 45 the second and then 60 for the rest of october. Now I am doing 75 and next up is 90 seconds, which I'll do until december. Wouldn't it be better to take photos standing against a marked wall? Would be better to prove an increase in height. st.it do you take any other supplements? lithium? 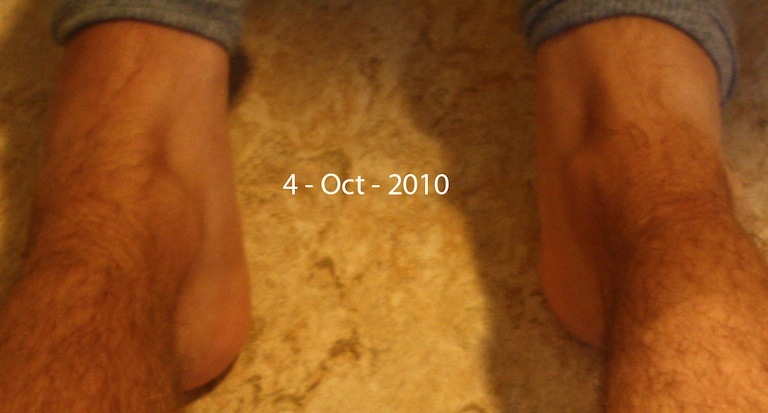 Yeah, maybe it would've been better to show overall growth (not just legs). But does it really prove anything? I could've just photoshopped it. I took these pictures and measurements because I wanted to know exactly how much the areas I apply LSJL to (legs) are growing, developing and changing. Just Niacin and a multivitamin. Nothing else. 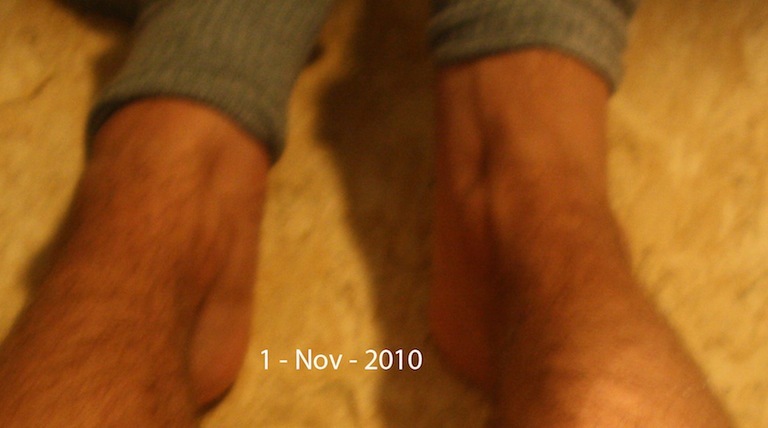 I admit the pics are crappy (they don't show much in terms of length, I was just curious about my ankles tbh). As I have said however, if i wanted to cheat with the wall pict I could've easily photoshopped it. The only real way to prove it is if you measure me in person. So, across the internet, it all comes down to if want to you believe me or not. If you decide that I am a hoax (most people on the internet are, aren't they?) suit yourself. After performing the LSJL routine do you go straight to bed? how long was it befor you noticed a measuable change? Tyler how should someone take niacin in terms of avoiding adaption, i quick explanation will do fine.